High on the list of books I cannot live without is Walden, Henry David Thoreau’s masterpiece. My dogeared, pencil-lined copy is one of my prized, and most frequently reread, possessions. The following is from its final chapter. I learned this, at least, by my experiment; that if one advances confidently in the direction of his dreams and endevours to live the life which he has imagined, he will meet with a success unexpected in common hours. He will but some things behind, will pass an invisible boundary; new, universal, and more liberal laws will begin to establish themselves around and within him; or the old laws be expanded, and interpreted in his favaour in a more liberalse sense, and he will live with the licence of a higher order of beings. In proportion as he simplies his life, the laws of the universe will appear less complex, and solitude will not be solitude, nor poverty poverty, nor weakness weakness. If you have built castles in the air, your work need not be lost; that is where they should be. Now put the foundations under them. I don’t believe in optimism. I believe in optimal behavior. That’s a different thing. If you behave every day of your life to the top of your genetics, what can you do? Test it. Find out. You don’t know—you haven’t done it yet. You must live life at the top of your voice! 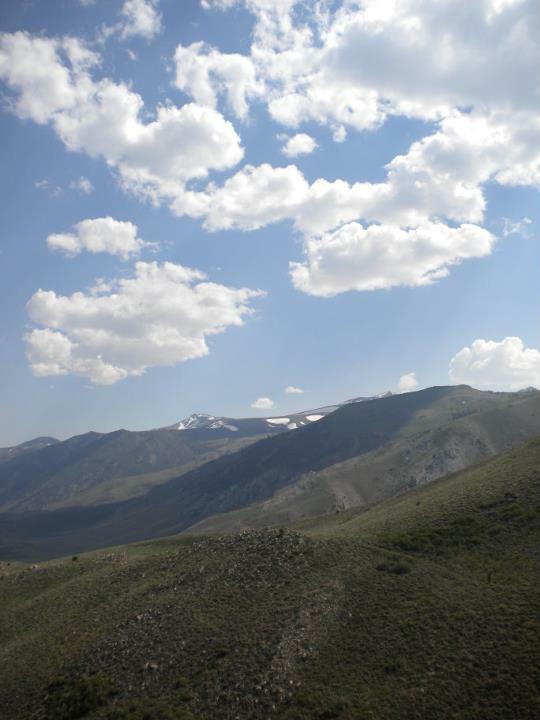 At the top of your lungs shout and listen to the echoes…. Action is hope. At the end of each day, when you’ve done your work, you lie there and think, Well, I’ll be damned, I did this today. It doesn’t matter how good it is, or how bad—you did it. At the end of the week you’ll have a certain amount of accumulation. At the end of a year, you look back and say, I’ll be damned, it’s been a good year. After finishing university with its routine of “required” reading I moved to London to work at a music magazine. To my sheer delight I was surrounded by, inundated with, magazines. All the monthlies I couldn’t afford arrived on subscription: Vanity Fair, Esquire, GQ, Vogue, Details, plus Rolling Stone and a weekly dose of high-gloss, low-IQ celebrity fare from OK! and Hello. Plus unlimited access to Q, Mojo, Mixmag, and Arena which were produced in the offices around me. With that journalistic goldmine to hand, I got out of the habit of reading actual books. The only two that made the trip from Philly to London were my dog-eared Franny & Zooey and a signed copy of Trainspotting, sentimental relics of my teenage years. Occasionally I borrowed a beach-read from my flatmate, but for the most part I read in 50 to 1500 word chunks of magazine-speak. A couple years later my company launched the future publishing phenomena that was Closer and Grazia, to join Heat in the ranks of the half-million-plus selling women’s weeklies. They were as were as brightly-wrapped as the contents of the office Cadbury Roses tin, and twice as addictive. Books were passé. They were demanding and required concentration. Why bother when I could get instant fix on every page of Closer? At some point I said, half-joking, that I’d forgotten how to read: “Gossip magazines are turning me illiterate.” It wasn’t far off the truth. My attention span and love of words – honed over 17 years of serious reading – had fallen apart. My exposure to new ideas and information, and my ability to absorb and analyse, was being chipped away by a diet of mental junk food that bloated my mind with vapid nonsense. Realising that I had fallen into the mental equivalent of Supersize Me, I made a conscious decision to read more books. It was like swapping chips for carrot sticks. Sure, it was good for me, but I had to work at reading books. There was a rhythm and a discipline to engaging with a long piece of text that I had lost. The shiny weeklies winked and pleaded: read me instead. I started rationing: Vanity Fair and Vogue once a month; Grazia or Closer as a Friday treat. Gradually, the diet of full paragraphs and polysyllabic words got easier to digest. My main excuse for junk reading was the plea of many fast-food fiends: “I don’t have the time/money/energy to get something nutritious.” Turns out that, as with food, cheap and good-for-you is easy to come by if you know what you want and plan ahead. Thanks to Kindle, I have an accessible, wide-ranging selection of books perpetually to hand. But an e-reader is no more necessary to good literary fare than one of those prepared-meals delivery services is to a good diet. The best and most intriguing source of books is charity or second-hand shops. Unlike Amazon, which overwhelms with options and makes you wait for delivery, they offer an instant fix. Browsing the shelves you can snap up everything from the latest best-sellers to arcane anthropological tomes. Second-hand shops gifted me Willa Cather’s The Professor’s House, Henry James’s The Aspern Papers and Muriel Spark’s A Far Cry from Kensington. They’ve introduced me to Henry David Thoreau, Margaret Mead, Anton Chekhov, Alice Walker, and Kurt Vonnegut. My handbag currently contains Hard Travelin’, Kenneth Allsop’s brilliant history of the migrant American workforce, purchased for £1.40 in a Marie Curie shop. Accustomed, once again, to a feast of words and ideas, I happily turn my nose up at Metro and the gimcrack lure of Closer and its cousins. I still subscribe to Vogue, and occasionally spend an hour perusing magazines at Waterstone’s, but my compulsion to keep up with the Brangelina marriage saga, or to find out who has cellulite/forgot her mascara/fired her nanny is gone. Quitting junk food does a body good – and the same is doubly true of the mind. Sometimes words appear when you need them most. Kelcey of PhD in Creative Writing posted the latest in her excellent series of writer interviews today and interviewee author Frances Hwang has some pithy words for the panickers and procrastinators, of whom I am one. 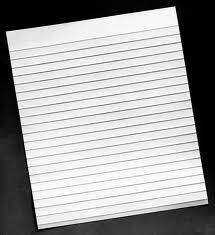 You can only progress as a writer if you write, and the more you write the more you understand and trust the process of writing. I’d urge you to get into the habit of finishing work. The temptation to abandon a piece can be great (and no doubt there are times when you do need to let something go), but you learn more and feel a real sense of accomplishment when you complete something. If you get stuck and are overwhelmed by the ambitious plans you have for your work, I suggest taking a less grandiose approach. Try to write the story in a way that comes naturally and that is most accessible to you. Otherwise, there’s a real danger of never writing the story at all. Oscar Wilde said he always travelled with his diary because he liked having something sensational to read on the train. My diary is, alas, neither exactly a diary (unless Ryman spiralbounds count these days) nor sensational, but it does go everywhere with me and here are a few scribbled thoughts from my Galway-to-London journey last weekend, dashed off after reading Paul Hendrickson’s latest non-fiction epic Hemingway’s Boat. Reading about writing is a dangerous preoccupation, dipping into the fantasy of another’s creative life. Feeling the need of a sense of mission, wanting a clear picture. A clean, well-lighted dream to pursue. A puzzle box so [the] only thing left to do is put together the pieces. Risky. 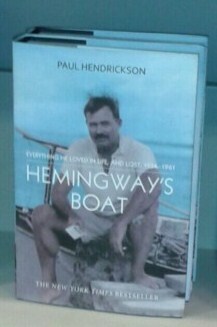 Read [Hemingway’s Boat] in one great 28 hour gulp (less nine hours sleep and several hours quiet conversation). Jumbled feelings: awe, fascination, curiosity, envy (despite everything) of shining hours on the sea and drinking rum, eating avocados right out of the shell. 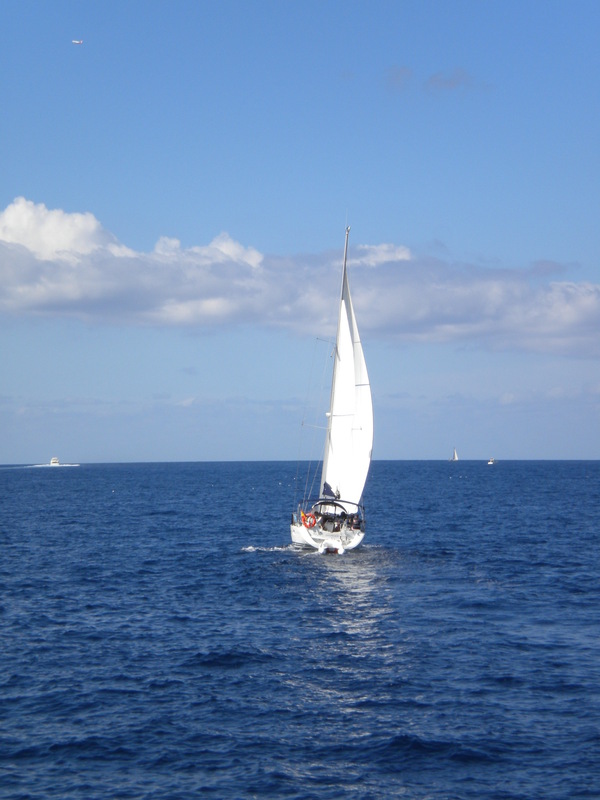 Fantasy powerful as a Siren call – tie yourself to the mast, my friend – would it be worth it? The high times, the urge to tear up. I’d like to have known more about the bi-polarism, medical stuff. The actual, genetic, biological fact of it, woven into the DNA, making everything dark that little bit less resistible. The constant, tantalising, steady-voiced mingling of verifiable fact (letters, dates, police reports) with compassionate speculation. The sudden veer and shift (“don’t look here, look here“). The intensity of detail: lists of fishing supplies, fish species, concurrent events. Over and over the evocation of water: blue, purple, turquoise, brown, something to do with seaweed, iron content, depth, the sand. Washes through and over the narrative till you can almost feel it, get the cast-off ripple light caught in your eyes. A book not so much about about a boat as about creation – the things we make deliberately and unwillingly. Go, go, go to The Nervous Breakdown to read my profile of psychologist and author James Pennebaker, a lovely man bursting with clever ideas who was kind enough to share his time to talk about life, linguistics and his book The Secret Life of Pronouns. Academics are easy to caricature. Sketch a figure in a rumpled suit jacket with messy hair and a pair of glasses clinging doggedly to the tip of his nose and you’ll win that round of Pictionary. Dr James Pennebaker, though, defies expectations. A renowned researcher, author, and chair of the psychology department at the University of Texas at Austin, he blends down-to-earth bonhomie with a taste for Lanesborough Hotel martinis, and hones his brilliant mind with long-distance running. 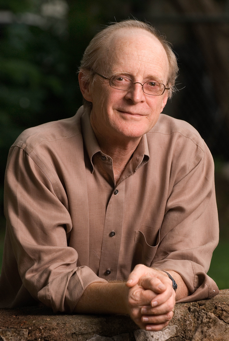 I contacted Dr Pennebaker after reading an excerpt from his latest book, The Secret Life of Pronouns. The product of fifteen years of research, The Secret Life of Pronouns argues that the way people use pronouns – the itty-bitty words like ‘you’, ‘I’ and ‘we’ that account for more than half of daily conversation – can predict things like emotional state (depressed people say “I” a lot), social status (powerful people use “I” less frequently), or truthfulness (liars tend to say “we”). No self-respecting word geek could fail to be intrigued. 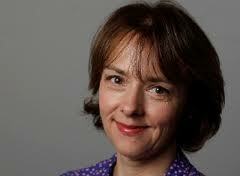 Lucy Kellaway of the Financial Times is my new literary crush. She writes acerbic, funny, insightful things about language and its (mis)-uses. Think George Orwell’s ‘Politics and the English Language’ for the 21st century. The other day I was invited to a dinner for non-executive directors to talk about women on boards. Even though I would much rather watch MasterChef on the television than go out and discuss this most worn-out of subjects, I said yes because I liked the person arranging it. Before the event I had to send in a “brief bio”, so I dashed off something like: “Lucy Kellaway is a journalist at the FT, on the board of Admiral and has written various books.” It was short, to the point and based on a model favoured by Ronald Reagan. A friend told me he had seen his delightfully succinct bio at a grand do in the 1980s: “Ronald Reagan is President of the United States”. In due course I received a list of the other guests’ bios and saw how outlandish my single sentence looked among the short essays they had submitted. I now see that there is a problem with the Reagan model: it doesn’t work quite as well if you aren’t president of the US. Indeed, the less important you are, the more words it seems you need. But looking at these bios – containing facts like “x played intercollegiate basketball three decades ago” or “y serves on the boards of 17 charities” – made me wonder about this trickiest of literary genres. How long should they be? What should they contain? It seems that the bio is trying to do two things: to say who you are and to show you are different from (and more interesting than) other people. Most overdo the first by being too long, and underdo the second.